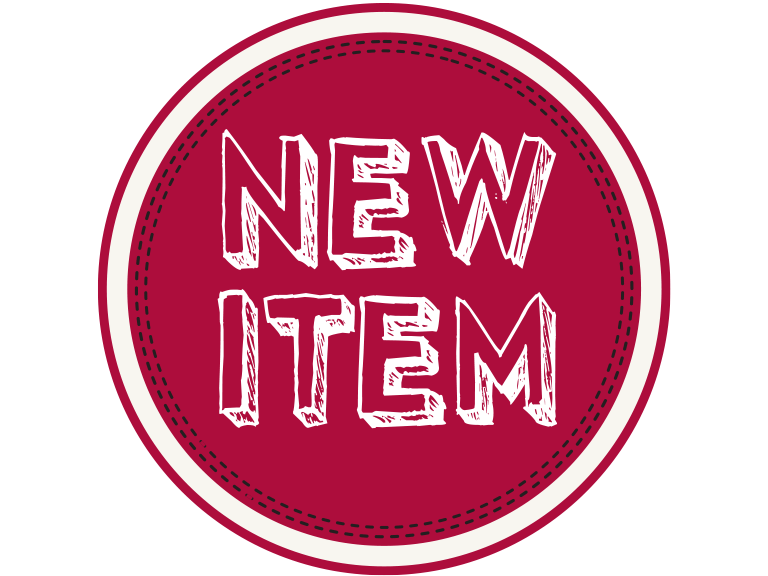 LOOK FOR THE NEW ITEM SIGNS THROUGHOUT OUR STORES TO FIND NEW PRODUCTS, NEW INGREDIENTS, TIME SAVERS, KIDS FAVORITES AND MORE! This distinctively delicious cheese taste comes from distinctly different approach to making cheese. 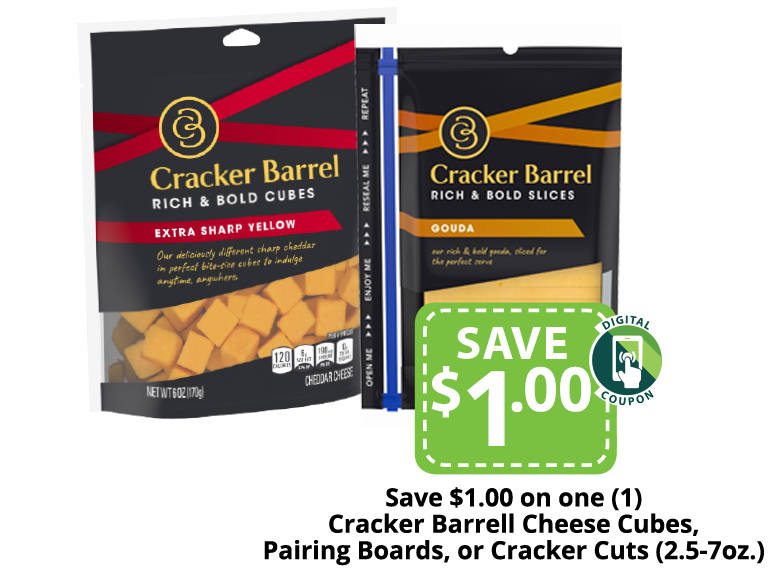 A unique aging process gives Cracker Barrel Cheese a bold sharpness you'll love! It's made with no artificial flavors, preservatives or synthetic colors. Try this award winning cheese today! Hidden Valley has found a way to up the ante. Check out the new BLASTED creamy dipping sauce. 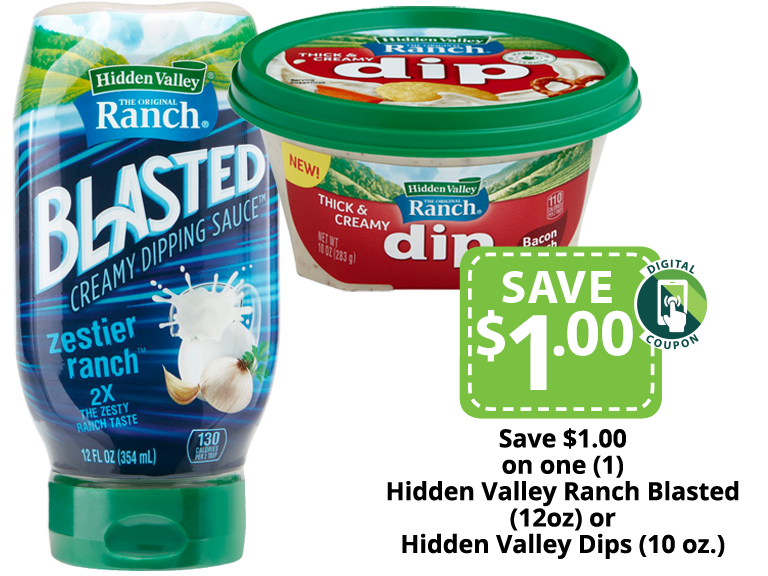 When you try this thick, creamy dip with your go-to snack, expect your taste buds to get jolted into a different realm of deliciousness. Experience Hidden Valley BLASTED today! 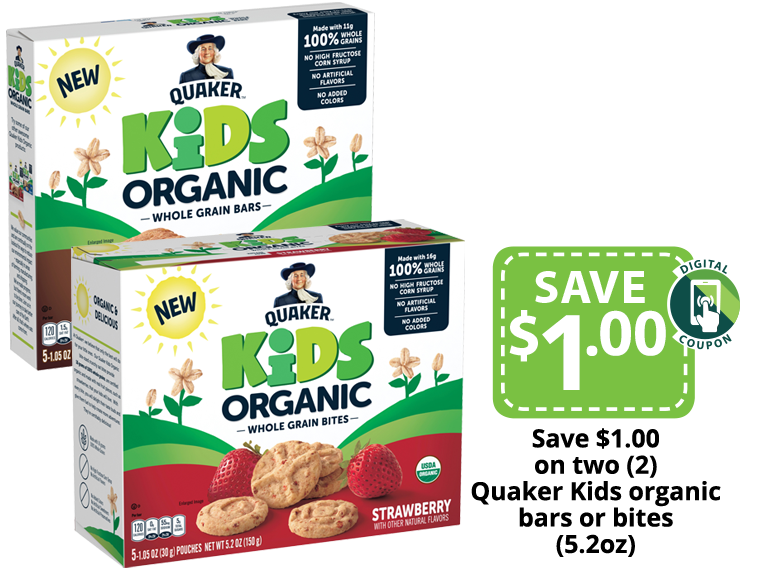 Quaker® Kids Organic Whole Grain Bars are soft-baked and filled with the scrumptious flavors for a taste kids will love. And parents can feel good about the 11 grams of organic whole grains per serving and other delicious ingredients. No High Fructose Corn Syrup, no artificial flavors and no added colors plus USDA Certified Organic. 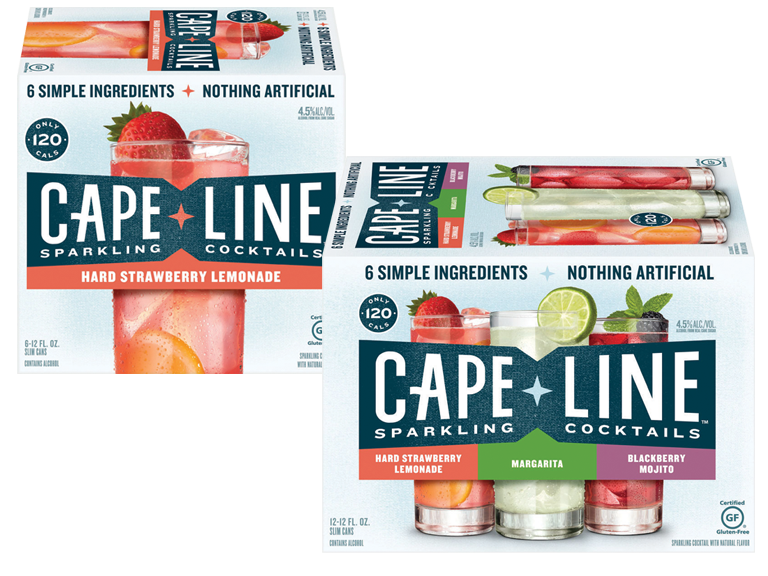 Cape Line Sparkling Cocktails is new from MillerCoors featuring Blackberry Mojito, Margarita and Hard Strawberry Lemonade. The 120-calorie drinks provides bold flavors without the calories! Made with fermented cane sugar and containing six ingredients, Cape Line has no artificial flavors and is gluten-free. Whether your dog needs a treat to chew on or something to help keep his breath fresh, Purina has everything you need to keep every dog begging for more. 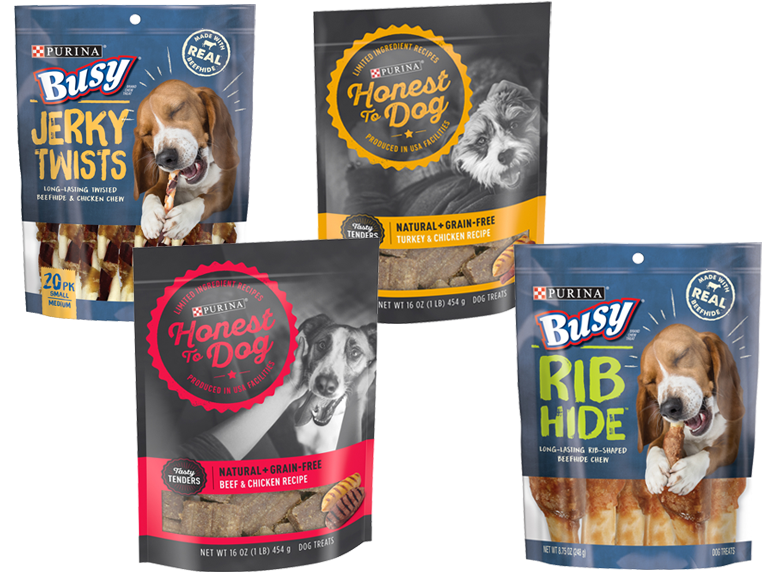 Explore new treats like Busy jerky strips, Honest to Dog grain-free treats or Beggin Adventures made with real meat. Check out our pet aisle to find a new irresistible treat your dog will love.